Since this post will vanish on or soon after April 2nd this year, I have it here for prosperity. Ingress – the game that’s taken up so much of my life in the last 5 years, started for me as a trending topic on Google+ and got me intrigued. 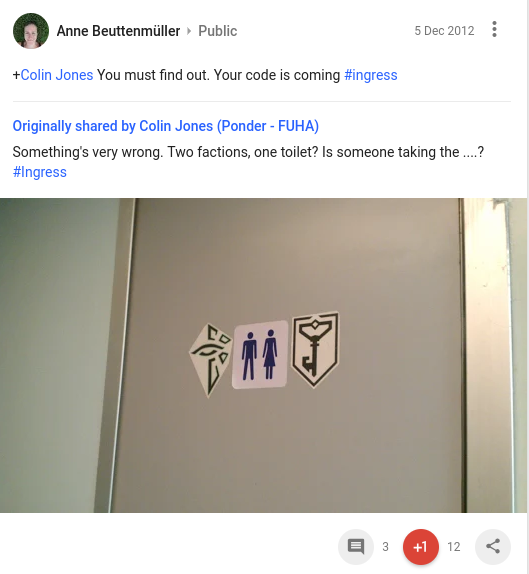 At the time it was invite only, and people were getting invited for posting things to G+ related to Ingress. This is the post that got me that invite! This entry was posted in Ingress. Bookmark the permalink.